The stamps are here! The stamps are here! So Deb’s class is back on the list. You won’t want to miss this chance to scare up some Penny Black® Halloween mischief. No tricks, just treats as we make three adorable cards that any goblin would be thrilled to receive. Jack-O’-Lanterns? We got ’em. A (not so) scary little kitty? You bet. 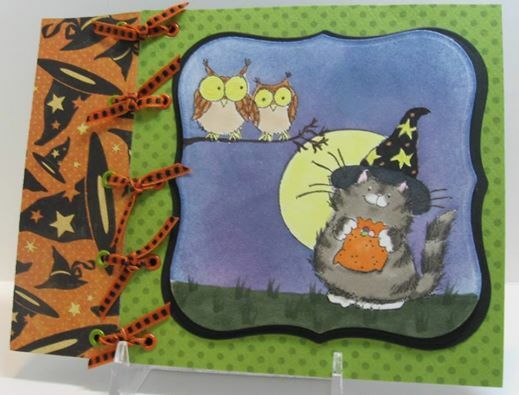 Join Deb to have a frightfully good time making these wonderful cards.